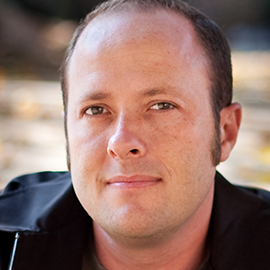 New York Times Best Selling Author, "Thirteen Reasons Why"
Jay Asher is the author of the young adult novels “The Future Of Us” (2012) and “Thirteen Reasons Why” (2007). “Thirteen Reasons Why“, his debut novel, spent over two years on the New York Times children’s hardcover best-seller list, with foreign rights sold in over 30 countries and more than one million copies in print in the U.S. alone. Netflix released a series based on the novel, with Selena Gomez as an executive producer on March 31, 2017. His second novel, “The Future of Us” (co-written with Carolyn Mackler), has sold in 15 foreign markets, and is being developed as a movie by Warner Bros. “Thirteen Reasons Why” won multiple awards: California Book Award, Best Books for Young Adults, Selected Audiobooks for Young Adults, Borders Original Voices Finalist, Barnes & Noble – Top 10 Best Books for Teens, International Reading Assoc. – Young Adult’s Choices, Kirkus Reviews, Editor’s Choice, Book Sense Pick Winner, Chicago Public Library Best Books, Association of Booksellers for Children – Best Books, State Awards – Winner (voted on by students): Florida, Kansas, Kentucky. Asher is a sought-after keynote speaker at libraries and schools across the country about his novels, suicide prevention, and creative writing for teens. He is beloved by teen and adult audiences alike. Asher has worked at an independent bookstore, an outlet bookstore, a chain bookstore, and two public libraries. For availability and speaker fees, please contact Jay Asher’s speaking agent at Chartwell here, or call +1 972 385 1021 for U.S. inquiries or +44 207 293 0864 for international inquiries.